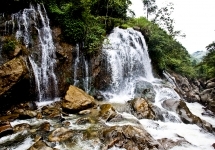 Trekking from Sapa to Cat Cat Village to see its waterfall and meet H’mong family and learn more about their way of life. Cat Cat is a small but bustling village situated at the foot of Fansipan Mountain. 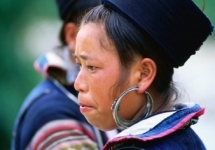 Here you will see traditional H’mong homes at their best, and you will be able to meet a H’mong family to learn more about their way of life. The village is also the perfect place to see traditional clothing being made, hemp being dyed and women weaving. 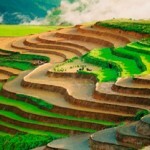 From Cat Cat we will follow the Muong Hoa Valley for 3km through rice terraces and small dwellings to Sin Chai. This village is a little off the usual trekking route and less visited, but offers the opportunity to see traditional wooden homes built using the indigenous Pumu tree. 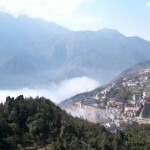 Transport will be waiting in Sin Chai to take you back to Sapa. Tour guide, transport, village entrance fees. 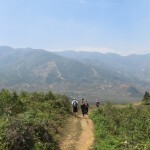 Once you’ve seen our itinerary for Trek to Cat Cat Village, you can make any changes you wish. 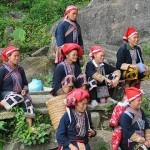 Sapa Travel is happy to amend and customize the itinerary as your wish.